At first thought, kid-friendly was the last thing that came to mind when envisioning Helen’s Oktoberfest. However, after speaking with a seasoned local we figured we would give it a try. The Chamber sets up the festivities in their Festhalle with kid-friendly amenities, such as their own dance floor. 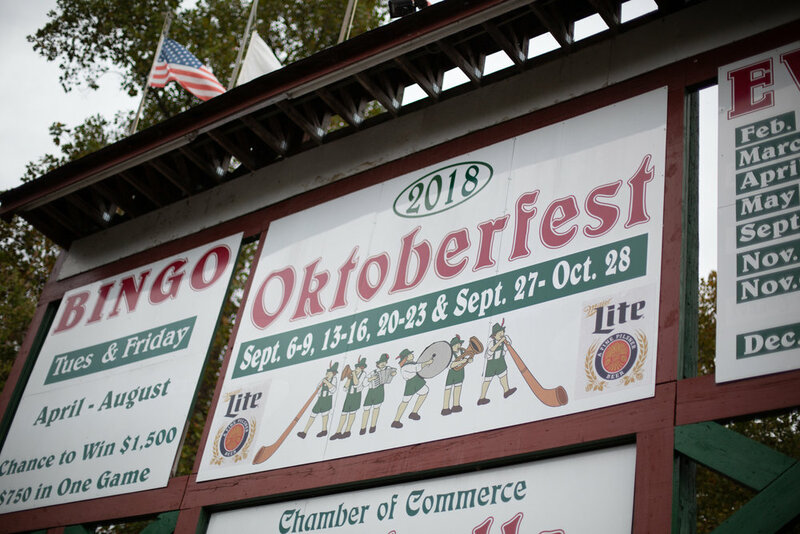 Around town, all the bars and restaurants are celebrating too, and since the town is already designed to look and feel like you are in Bavaria, the beer tents and extra outdoor seating puts the icing on the cake. On our first day we walked the charming village and ate an early dinner at the Heidelburg, a German restaurant nestled in a multi-level building overlooking an Oktoberfest beer garden and the charming shopping area of Helen. We were lucky to get a spot on their balcony. This enabled us to take in the sights and sounds of the festivities while enjoying a beer and some German food with the kids in tow. Our oldest daughter (four) enjoyed watching the festivities and dancing next to our table. We ordered German pancakes and the Heidelburg's sausage sampler to share. The food was good and seemed authentic. German food tends to be heavy and less flavorful than I’m use to, so if you get bad German food it is REALLY bad. On our last night we ate at the Bavarian Inn and discovered just how bad German food can get! If you are visiting Helen make sure to eat at the Heidelburg at least once and try to get there for early dinner so you can grab a balcony table. Another spot worth noting is the Alpine Pretzel Haus on the other side of the street but still on the main strip of Helen. The pretzels come out piping hot and the Beer cheese is some of the best I've ever had. My advice would be to splurge and spend the extra $1 for one more cheese — you will thank me later. 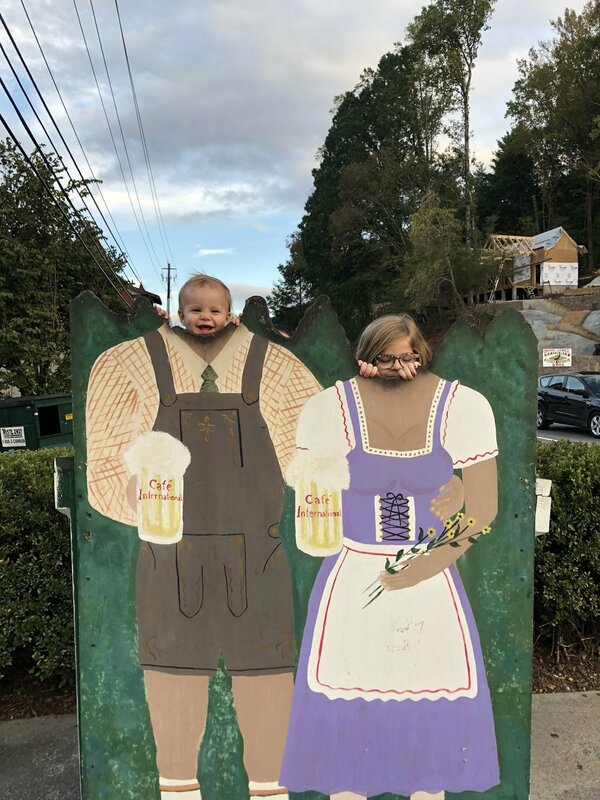 Our visit showed us Oktoberfest can be fun with young children. Helen offers plenty to do with kids, while still coming away with an authentic Oktoberfest feeling. Aside from all the Oktoberfest, we were also able to get some hiking in at Dunes Creek and it was absolutely beautiful. We wore our Osprey carrying pack to tote our one-year-old, but our four-year-old daughter lasted the entire hike on her own! The views were stunning and the weather was perfect. We can’t wait to go back and explore more trails as a family in the Blue Ridge Mountains. Fall in Georgia is a little later than up north but the leaves started to change in Helen during our visit. 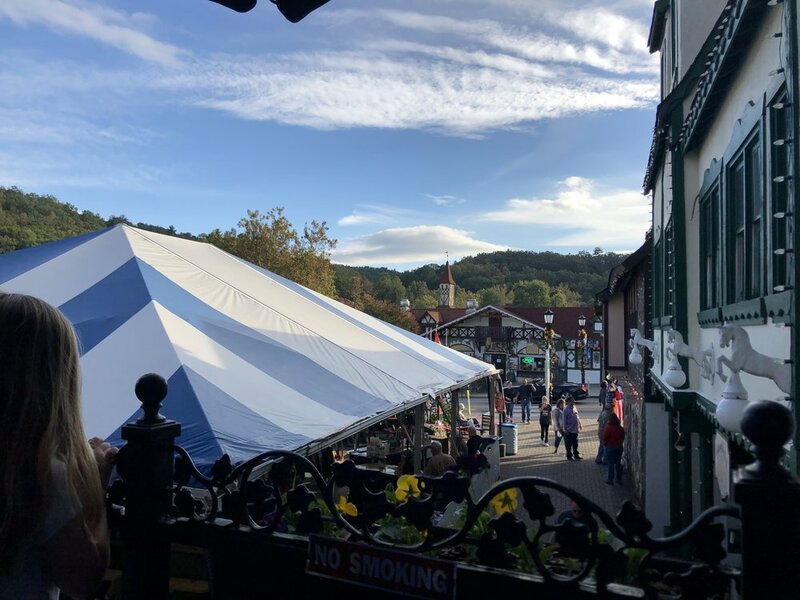 If fall leaves are on your must-have list, make sure to wait until the last week of the Fest to visit. We stayed at the Loreley Resort, a charming condo style resort right on the river and within walking distance to downtown Helen. The property was beautiful and the accommodations fit right in with the Bavarian theme, with enough cabin feel to make it a perfect fit for your family’s getaway to Helen. We loved our stay in Helen and cannot wait to return to experience the Christmass holiday festivities this year!